Website Gamification, iOS App Development Agency, Android App Developers Range Knowledge on the Go! 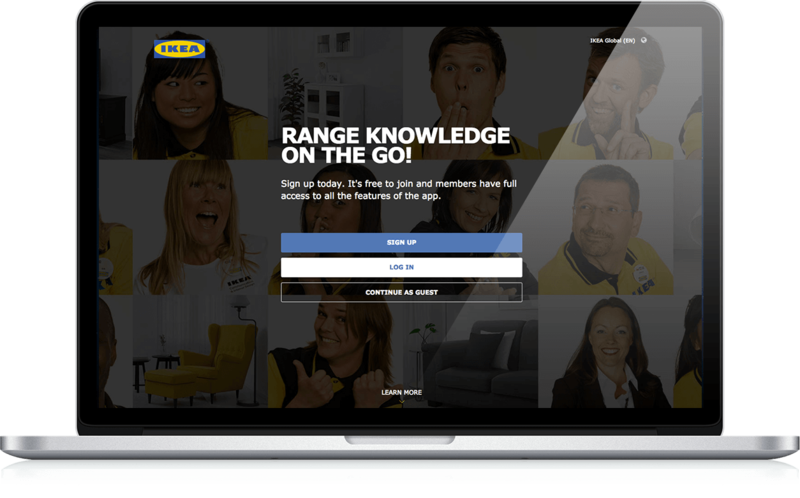 | Website, iOS App, Android App for IKEA | Koko Digital IKEA range knowledge on the go! The easy way to brush up on your IKEA product knowledge. Discover more about IKEA product families - from their design, to tips on how to use them to transform a room. IKEA of Sweden has been the market leader in the design and production of furniture for decades now, so we were absolutely thrilled for the opportunity to collaborate on a project together. The home trends powerhouse has since become one of our favourite clients to work with, and it helps that they make the tastiest Swedish meatballs on the planet! 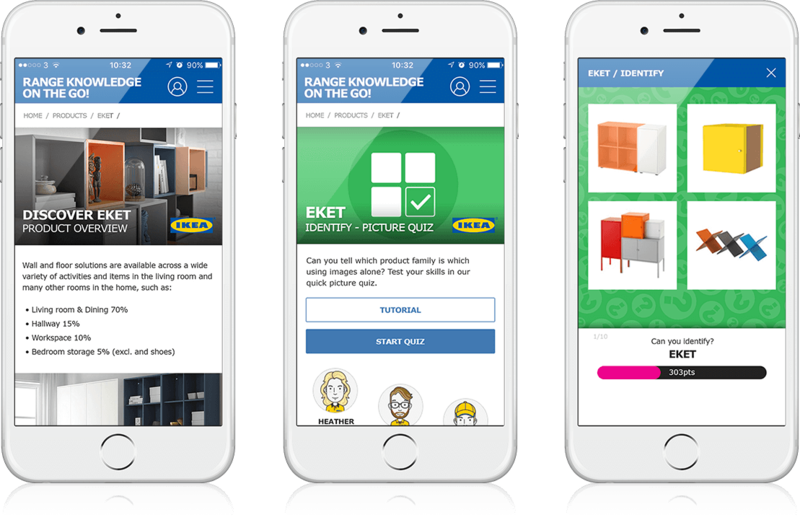 Looking to develop a cross platform, multimedia training tool to be used by staff members constantly on the move around the shop floor, IKEA of Sweden set us an exciting task. 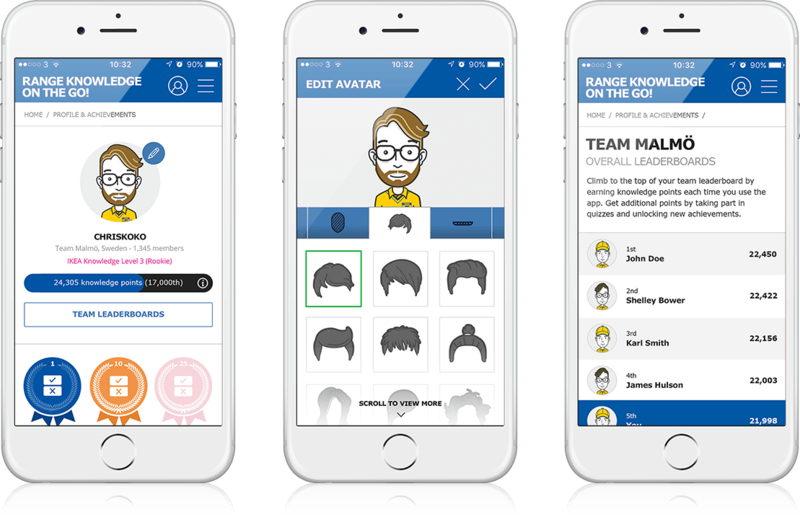 An iOS and Android native app and web app was to introduce high level information and fun facts, ensuring that product features and their beneﬁts could be understood, easily remembered and shared via all available channels. 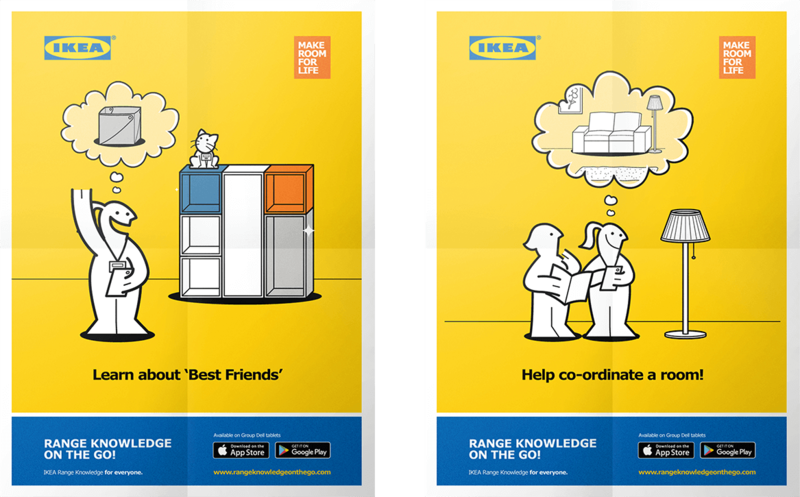 The IKEA Range Knowledge on the Go! app was the perfect gamification solution. 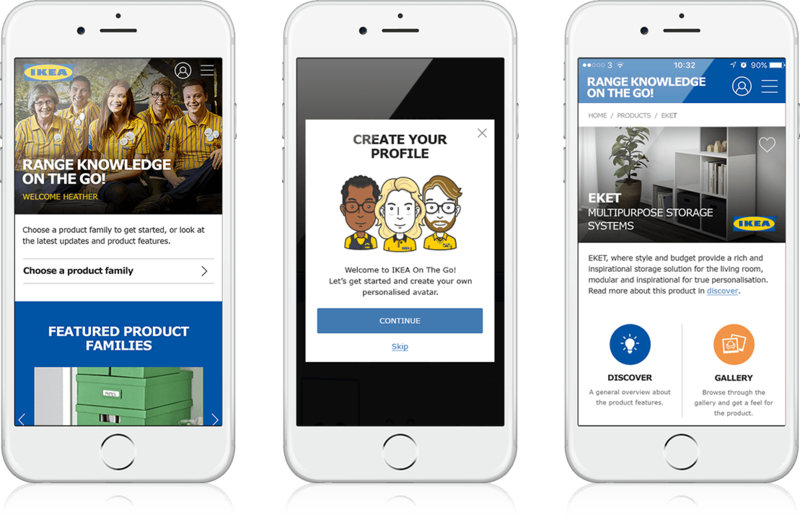 The vast library of product knowledge is translated into engaging, informative quizzes, games and more, with reward systems as incentives to encourage co-workers to remember a yellow pages sized catalogue of products! We continue to deliver quarterly updates containing new features and fresh content. So far the app has been translated into 33 languages across 61 countries. Yep, this app has huge reach!